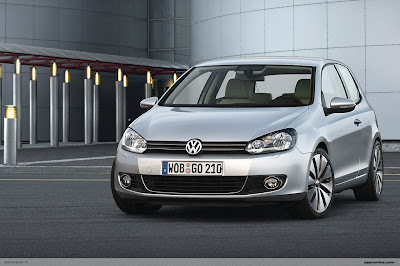 In another recent announcement from VW late last week were the release photos of the new Golf (Rabbit/GTI in the U.S.). 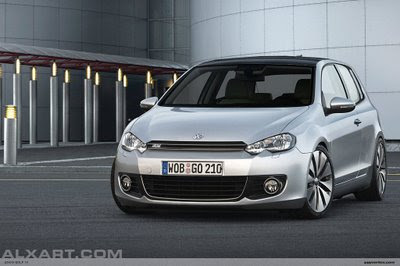 Of course I had to mess with it a bit, 'Jaeger' it out, so I did a quick p-chop job on it like I did with the Scirocco. Mainly changing the front end to be a bit (or a lot) more aggressive. Here's the original and then my version. I made sure to add in details from recent VW concepts to keep it 'in-the-family' but also added some touches from the Scirocco I did previously.